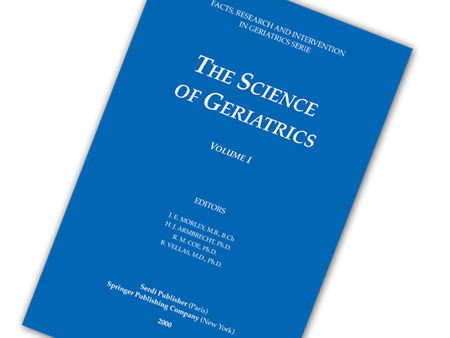 The 2019 International Conference on Frailty and Sarcopenia Research (ICFSR2019) is co-sponsored by Tufts University, Boston, Massachusetts, USA; the Toulouse Gérontopôle, Toulouse, France; and the US Department of Veterans Affairs’ Geriatric Research Education and Clinical Center (GRECC), Miami. Congress chairmen included Professors Roger Fielding (Boston, MA, USA), Matteo Cesari (Milan, Italy), Bruno Vellas (Toulouse, France), Marco Pahor (Gainesville, FL, USA), and Jorge Ruiz (Miami, FL, USA). Jack Guralnik, Professor of Epidemiology and Public Health at the University of Maryland School of Medicine will receive the Lifetime Achievement Award in recognition of a quarter century of research that has advanced understanding of age-related changes in physical function and disability. Jeremy Walston, Professor of Geriatric Medicine and Gerontology at Johns Hopkins Medicine and Co-director of the Biology of Healthy Aging Program will describe how impairments in the body’s systems for responding to stress may lead to frailty. Inflammation appears to play an especially important role in the development of frailty, says Dr. Walston, and molecular markers of inflammation may be useful as biomarkers, both for prognosis and for predicting the effectiveness of anti-inflammatory therapy. William Evans, Adjunct Professor of Medicine at Duke University will present recent efforts in his lab to develop a biomarker of sarcopenia that more accurately measures muscle mass in comparison to DXA (dual-energy X-ray absorptiometry), which is currently the most commonly used measure. DXA measures lean muscle mass, which only weakly correlates with declining function, said Evans. Thus, it must be combined with a measure of physical function to diagnose sarcopenia. In contrast, the D3-Creatine (D3-Cr) dilution method Evans and colleagues have developed assesses muscle mass and requires only a single urine sample. A study in older men showed that participants with low muscle mass using this method had worse physical performance and the highest risk of falls compared to men with greater muscle mass. DXA lean mass showed no such relationship, suggesting that D3-Cr dilution represents a simple, non-invasive, inexpensive, and accurate measure and a superior way of diagnosing sarcopenia so that treatment can be started to prevent late-life disability. Heike Bischoff-Ferrari, Professor of Geriatric Medicine and Aging Research at the University of Zurich will present the latest findings from the VitaminD3-Omega3-Home Exercise-HeALTHy Ageing and Longevity (DO-HEALTH) trial, Europe’s large study on aging. The study began in 2012 and is now nearing completion. The trial enrolled 2157 community-dwelling men and women age 70 years and older from 5 European countries for the 3-year study. Islene Araujo de Carvalho, senior policy and strategy adviser at WHO will present details of the Integrated Care for Older People (ICOPE) program, a set of recommendations agreed to through a global consensus process to address the increased complex health and social needs of older people worldwide. Actions agreed upon by the consensus committee reflect the central role of unpaid carers and the need to engage older people and their families as partners in care planning across the life-course. A symposium organized by the U.S. Department of Health and Human Services will outline aging research programs supported by the National Institute on Aging (NIA), including a newly-funded Central Biorepository that will store, distribute, and manage biological specimens and associated data collected in studies funded by the NIA.